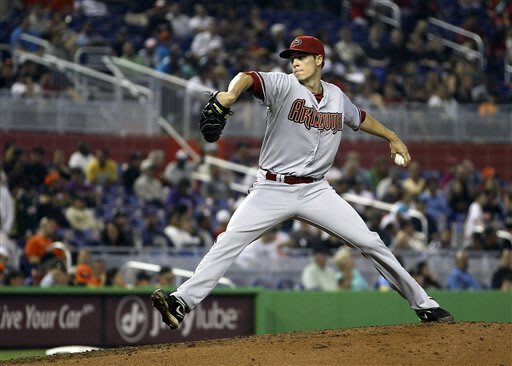 The D-backs called up lefty Patrick Corbin to the mound on Monday to take on the Miami Marlins. The result was a solid Big league debut and a win. It looks as though Corbin will replace Collmentor in the rotation for the moment. The rookie lefty had 5.2 IP allowing 8 hits, but with 6 Ks. The d-backs jumped out to a 7-run lead thanks to two two-run shots by Cody Ransom and Justin Upton. That was a large enough cushion for Corbin and the D-back's shaky bullpen, who came away with a 9-5 win.